Michele Dedda is a wheat distributor from Bovino, in the heart of the province of Foggia. Houses in Bovino seem to hug onto each other, suspended over a sea of wind and wheat, nearly suspended in time. It's only a suggestion, though, because in this marvellous hamlet, dressed in colours of long ago, sowing wheat means sowing their future. The fresh air, the land and the fine quality products this area gives, from wheat to grapes, tomatoes and olives, we have this and it's a great heritage. Speaking as a resident, in Apulia, in South Italy we don't need big manufacturing companies, we need to enhance what we already haveand today, at last, this awareness is a growing force, especially in the minds of our youths. Our young people, Southerners, told to go to university and then take other routes, understand that today their future is in the local area. It's up to us who are around these youths to support them and guide them by setting an example. From this viewpoint the Armando supply chain is encouraging, a virtuous model to be expanded into other sectors as well. The Armando supply chain has an impact because it guarantees that the farmer gets a fair price. Our farmers and the De Matteis pasta factory sat down at a table to calculate the production cost of a quintal of wheat, thereby guaranteeing a minimum sale price. This was the starting point, followed by a revision of the price based on the market, and if it goes up, the company recognises it. On the other hand, if the market price drops, the price doesn't drop below the guaranteed minimum price. We have a parachute that allows us to cover expenses and a profit margin if the market price is not favourable. From sowing to the harvest we oversee the whole process and lend our associates a hand. We supply the seed, we give technical assistance through our agronomists, the pasta factory and Syngenta that helps us with technical aspects of cultivation. When the wheat arrives here we are sure that it is wheat that is part of this supply chain, which has those characteristics of being suited for processing and we are sure of the product's origin. What are the results? 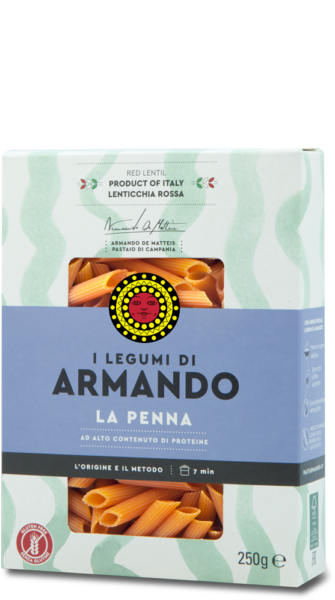 At home we've been eating only Armando's pasta for the past three years. My children can tell straight away if there's another brand of pasta on their plate and I don't believe that they're the only ones who can. Bovino is a small town, a community of 3,500 inhabitants and many of our farmers belong to the Armando Community. 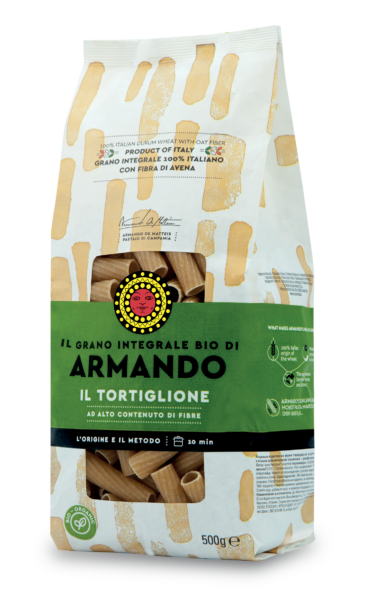 We've carried out product promotion actions and today you can buy Grano Armando pasta at any shop in Bovino. We've raised awareness of the importance of enhancing the tie between the fruit of the land and the product obtained from it. Then, once it's known it sells itself. It no longer needs advertising to come out every day to promote it, because that's done by word of mouth. 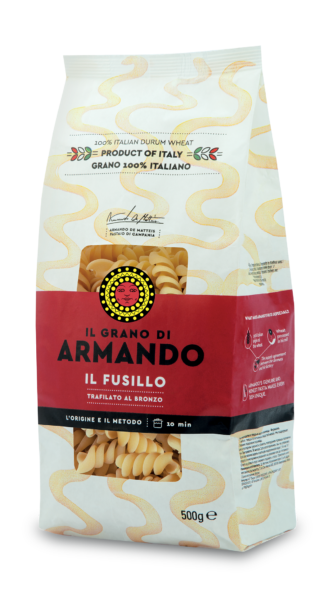 A good product sells itself, and Armando pasta is one such product. 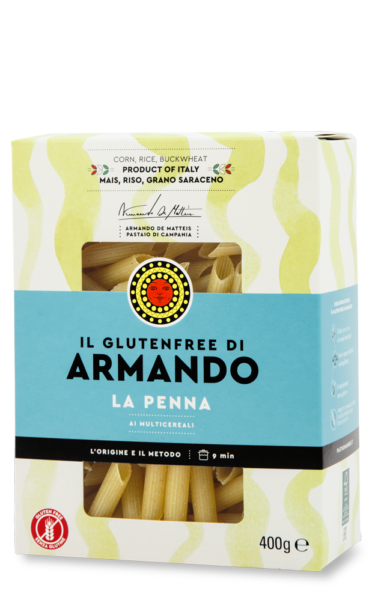 One could start thinking that Armando's pasta is produced in Bovino, but in reality it's produced with wheat that comes mostly from Central and South Italy, and that is not one of our aspirations. We're not aspiring to have a niche product, we're aspiring to a good product for everyone, for as many people as possible. 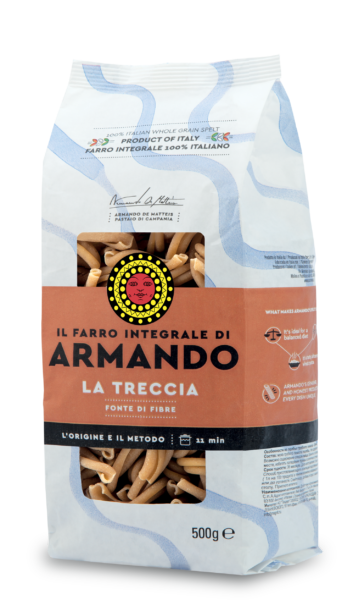 Otherwise our dream cannot come true, it stays confined to a limited geographic area and circumscribed to a small community, while Grano Armando deserves to be known nationally and internationally. This supply chain model is an encouragement for our young people because they see that their parents obtain real advantages, because they can understand that one can grow on a path like this, that they too can have a future here. On the contrary, especially for them! Farming is different today, it's more scientific, one must be ready and study. They can get their education here, studying and learning for a specific purpose. We are the best in the world in the food industry which is the only future for these communities. The De Matteis pasta factory has ensured that its dream is also our dream, because it recognises the efforts made by farmers who reach the objective of producing the desired quantity and quality. 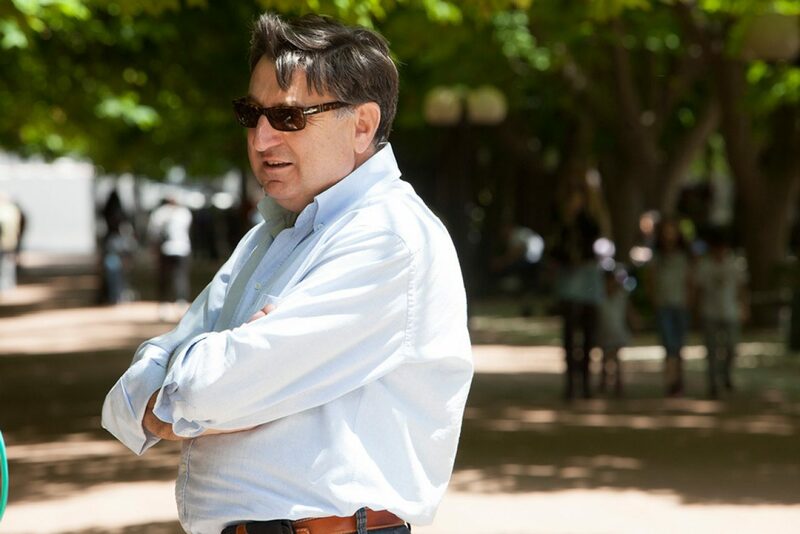 I hope that these supply chains continue, that this model created by the De Matteis together with our contribution can be extended to other sectors. In Italy there are different industrial sectors which thanks to similar networks could improve the fortunes of farming. The Armando Agreement is much more than a business deal. It is the sharing of a certain vision of the future by those who live off of wheat. By signing it, the producer, farmers and agronomists commit to producing high quality raw material, sealing an authentic tie existing between the ground, wheat and pasta. The tastiest and most genuine pasta. 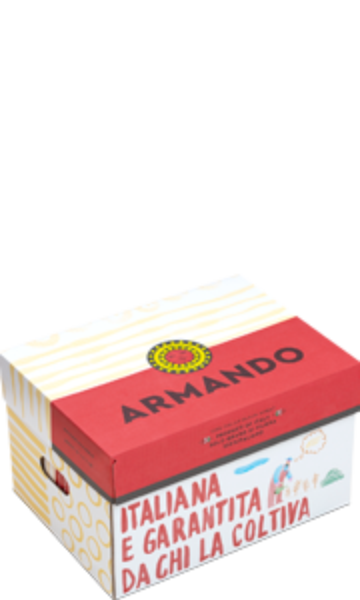 Sign up to Armando Newsletter for exclusive offers and get 10% off COUPON for your next order.